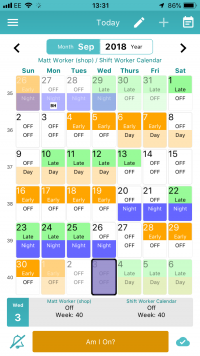 One of the great things about My Shift Planner is that you can share your shift schedule with a partner, family, colleagues, or anyone you want to. Here’s how to do it. My Shift Planner is designed to help shift workers plan their lives and stay on top of shift work. One of the ways you can do this is by keeping those closest to you in the loop. If they know your shift rota, they’re less likely to try and plan a full day of Christmas shopping when you’re sleeping off a night shift! Luckily, with my Shift Planner it’s easy to share your calendar and make sure you can plan your time in the best way possible. 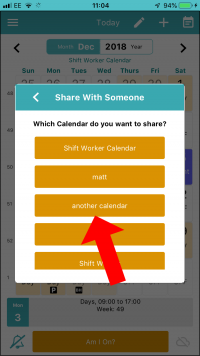 Once you’ve got your shift pattern set up in My Shift Planner, you can share your calendar with anyone in a number of different ways. Here’s a quick run through to help you get set up. 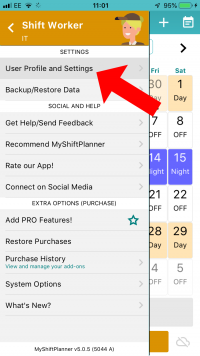 This not only allows you to backup and restore your calendar, but it keeps all your data safe and secure in the cloud. If you lose your phone or upgrade to a new phone, this is the only way we can keep your data safe. To do this, tap on the “three lines” menu in the top left. Then tap on User Profile and Settings and Log In. There are several ways to Share. You can share your calendar as an email, or an image to send someone. 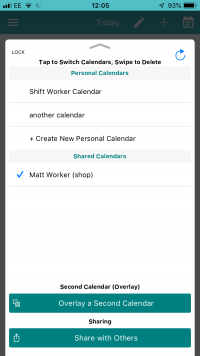 Or if they are another My Shift Planner User, you can make use of Live Sharing feature in My Shift Planner Pro-Pack. Only the person sharing out needs to purchase the Pro-Pack. All the other person needs is the My Shift Planner App and a free My Shift Planner Account. To start sharing, go to the Calendar Menu, and tap on Share My Calendar. Here you can chose the options. Send a picture of your calendar with someone, by image. 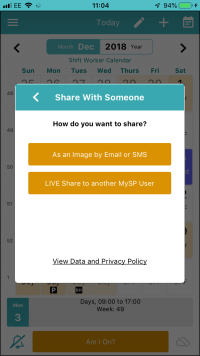 Or Share with another My Shift Planner user. 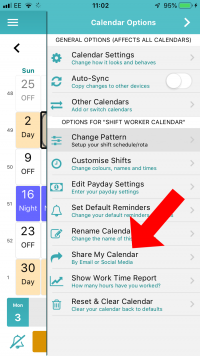 Add the email address of the other person’s My Shift Planner account and choose which calendar you’d like to share with them. They will get an email inviting them to view your calendar. You can share with just one person, or several people. 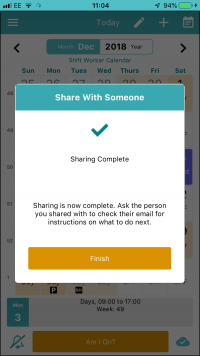 If they switch on Live Sharing too, they can share their calendar with you. 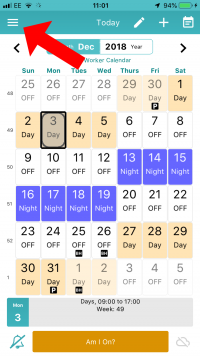 You can then overlay two calendars, check when you are both off, or check when you both have a free weekend. Only one of you needs the Pro-Pack to view the calendar. They can see it by going to Other Calendars, in the Calendar Menu. Or by swiping up on the screen. 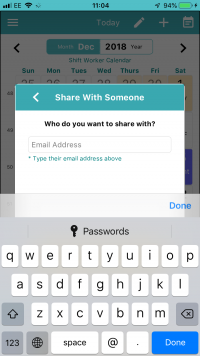 Need some help in setting up sharing with someone? 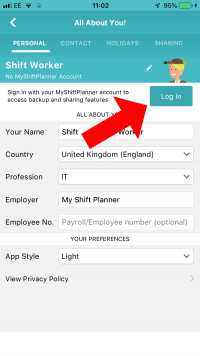 Get in touch with our friendly support team – support@myshiftplanner.co.uk. They’re there to help you make the most of My Shift Planner.